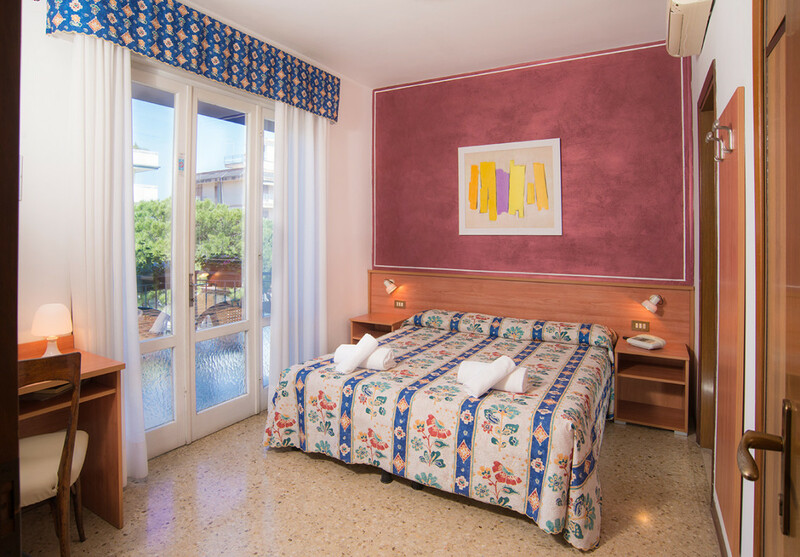 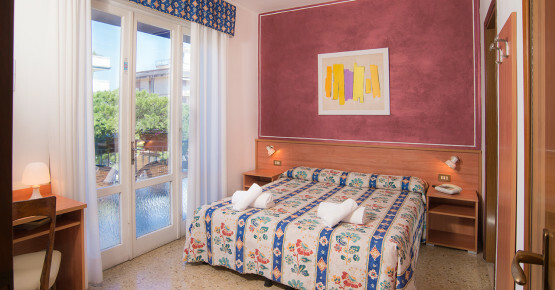 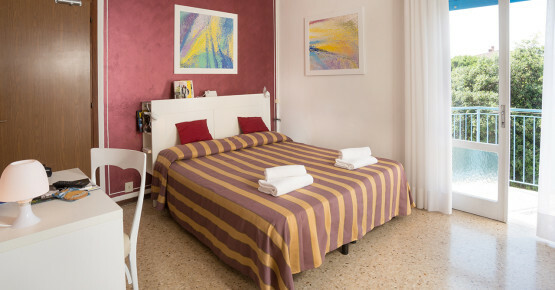 Double room at the Hotel Azzorre and the Hotel Antille in Jesolo. 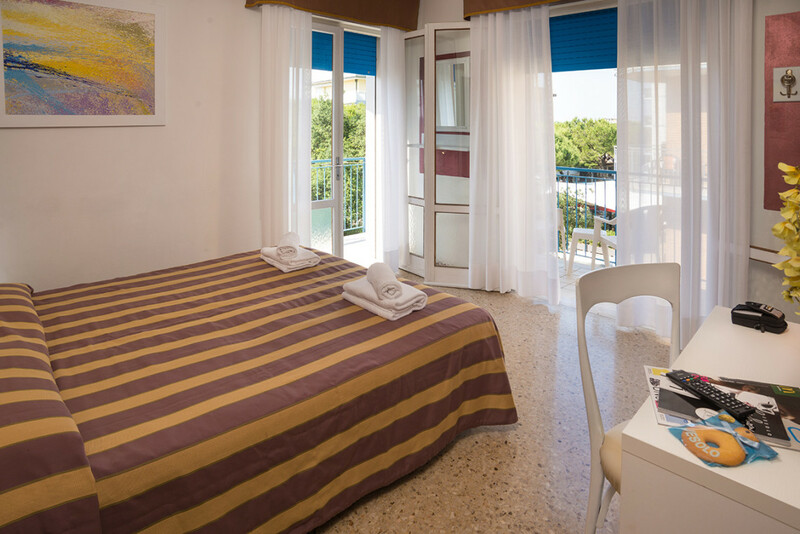 The double room (double on demand) is equipped with private bathroom with shower stall and hair-drier. 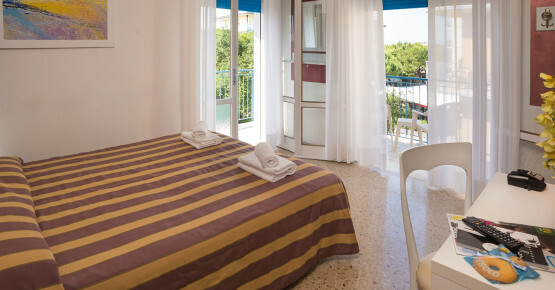 Balcony with side view on the seaside, air conditioning, satellite tv, phone (with possible wake-up call), safe-deposit box.